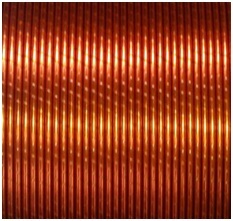 Film wrapped sintered wires_Gold Cup Electric Electromagnetic Wire Co., Ltd.
Film wrapped sintered wires produced by Gold Cup Winding Wires have the features of thin insulation layer, high dielectric strength, good flexibility, good heat resistance, good water resistance etc.. It is widely used in high-voltage and high-power electric motor winding, and in all kinds of motor winding under high temperature and high humidity environment. Corona-resistant film sintered wire can improve the corona resistance, impact resistance voltage capability and heat dissipation capacity of the wire insulation. It is suitable for manufacturing traction motors, variable frequency motors and high-voltage motor winding. KAPTON film, Polyimide-F46 film, 240 aromatic polyester-imide film etc..